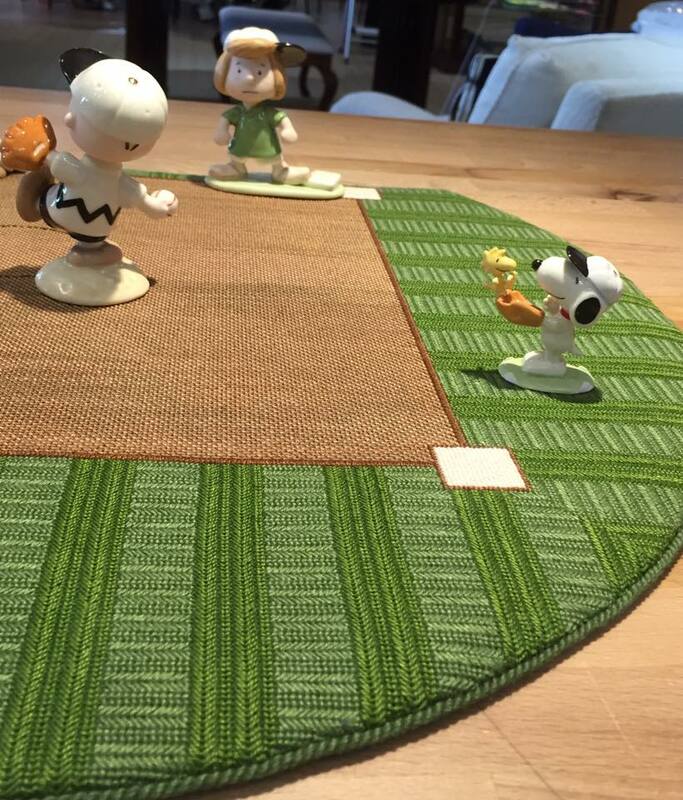 Charlie Brown and friends are out to have fun on a needlepoint field stitched Marilyn Tardiff. Designed by Dale of DJ Designs. Stitchguide by Susan Portra. Charlie Brown and friends by Lenox.